Like in previous years, there have always been opening tax season niggles and 2018 has been no different. Patience is a virtue, so the adage goes. And when it comes to waiting for responses from most government departments, they can certainly put your skills of tolerance to the test. Our helpdesk is inundated with questions about how long SARS will take to react or respond to certain requests or submissions. The short answer is ‘typically, quite a while’. You can imagine that during their busy filing season there are hundreds of thousands of documents being processed and not all administration can be automated. 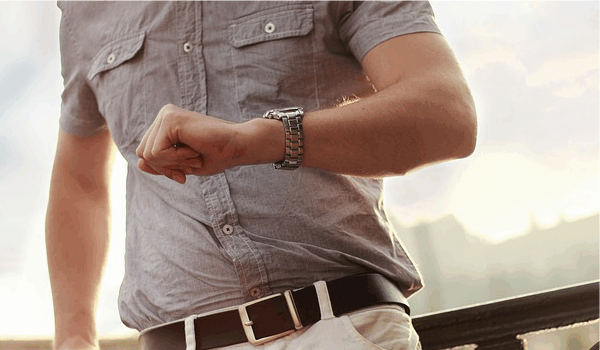 To ensure that taxpayers are adequately prepared for how long they can expect to wait for SARS to act on a particular task, we’ve rounded up their guidelines on waiting periods. Let’s get right to it, shall we? Sometimes once you’ve completed and filed your tax return, you remember that you forgot to include a certain income, or claim against an allowable deduction. Knowing how important it is to file an accurate tax return, you decide to resubmit your return with your correction. This resubmission is called a request for correction, and you have up to 3 years to file a correction on a previously submitted tax return. SARS will process this correction in the same manner as a standard tax return and, if not selected for audit, you can expect an assessment anywhere between a matter of hours to a day or two. Sometimes however, if SARS has completed their assessment and audit, they do not allow the tax return to be corrected and another version submitted. If this is the case, you will need to lodge a dispute. Apart from it being a legal obligation to submit your annual tax returns, for many it’s an opportunity to receive a refund from SARS for overpaying on tax during the tax year. SARS has changed things up a bit this year and advised that they have 7 business days in which to pay out a refund. Taxpayers have been known to receive their refunds within 2-3 days however, let's hold thumbs! When you have an expense claim, you need to have documented proof of all these expenses . Often SARS will request to see these documents and ensure you’re given total comprises valid costs. This is more commonly referred to as a verification or audit, and simply means that your return together with your documentation will be physically reviewed by one of SARS’ tax agents to ensure accuracy. They request these documents by sending you a letter, email and or SMS asking you to submit your supporting documents. You are obliged to upload these documents within 21 days of the notification being issued. Failing to do so may mean that your deductions will be disallowed. Once submitted, SARS are intending to speed things up a bit this year and have committed to complete their review within 21 business days provided the return is for the current year and all supporting documents have been received.If SARS advances their review to an "audit" stage you will be advised as such and after you have submitted all supporting documents, SARS should complete their audit within 90 business days. Once an audit or verification has been completed, you’ll receive an assessment, called an ITA34. This document highlights the outcome of your tax return verification showing what income and expenses have been used to calculate your tax liability for the period. Every now and then, you may disagree with SARS result, and perhaps feel that SARS erroneously included or excluded certain amounts that impacted on the final tax amount owed. In these cases, you’re able to lodge a notice of objection, provided you do so within 30 days of receiving your assessment. As per general SARS administration turnaround, you can expect to have a response to your notice of objection within 60 business days of being received. In extreme cases, if SARS still disallows your deduction (after a notice of objection) you can file a notice of appeal. This needs to be submitted within 30 days of receiving your notification of your objection being declined. Again, the general SARS waiting periods apply and an appeal can take up to 60 days to be finalised. There have been cases where this has gone on for 3 months and sometimes a year unfortuntely. So get all your documents in correctly the first time round and then you won't even need to appeal. As you can see, any administrative matters outside of a general tax return submission may take a long time to resolve - and even then you’re not guaranteed a favourable response. This is why we stress the importance of ensuring your tax return is completed accurately the first time. TaxTim’s unique approach to completing and filing your tax return makes sure that it’s correct and that you’ve claimed for every deduction available for your particular tax profile. This is the good news, receiving one of these means that SARS is all done. They have finished with your documents and should you due to receive a refund, then this will be paid out to you a few days later. If you make a payment to SARS and provided you use the correct payment reference number, SARS should allocate the payment to your account within 3 business days. Need help? Do you tax return quickly, easily and correctly now. This entry was posted in TaxTim's Blog and tagged Provisional Tax, Penalties, Audit / Verification, SARS & eFiling. Bookmark the permalink.